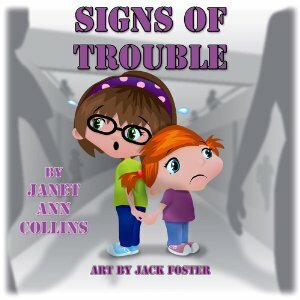 Reading Signs of Trouble by Janet Ann Collins brought a huge smile to my face. I remember too well what happened when one of my students got separated from the group while visiting the Louvre Museum in Paris, France. Fortunately, the student in question followed my instructions and went for help at the information desk. In Signs of Trouble two girls were separated from their class during a field trip to the mall. This heartwarming story features what children should do in the event they are separated from their class. The girls did remember the simple and direct truths their teacher taught them: “If you get lost, stay where you are, someone will find you. If you have an emergency, dial 911. The police are your friends and will help you. Beware of strangers.” The girls put into practical application what they had learned from their teacher and were able to find help and were reunited with their class. Jack Foster’s illustrations made the story complete by bringing the story to life visually. The author added an extra special element to the book by including some fun activities, games, and questions at the end of the book. This is a great resource for teachers. This charming book should be read in every elementary classroom and teachers can use it as an easy guide to teach their students about safety while on field trips. Are you a parent looking for ways to teach your child about character, confidence, kindness and enthusiasm? 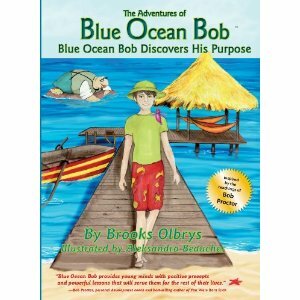 If you answered yes, you must read Brook Olbrys’book: The Adventures of Blue Ocean Bob. It is a heartwarming and colorful picture book that tells of Bob and his best friend Xena. Most children would consider Bob to be very lucky because he lives in a beautiful exotic island. But Bob is not content with the way things are. He is determined to find more meaning to life. He goes to seek out advice from many beautiful sea creatures. Along the way he makes many friends eager to help. A wise turtle gives Bob the advice that will set him on a new path. The simple rhyming language and masterful illustrations brings the story to life. The message in the book is based on the principles and philosophies of Bob Proctor, the best-selling author of You Were Born Rich. I think the positive message in this well-written book will resonate well with parents, and I highly recommend this book to any parent seeking of ways to talk to their children about setting goals for their future. 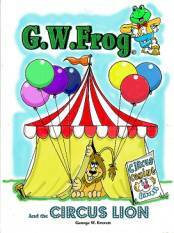 I’m thrilled to host, George W. Everett on the third day of his National Writing for Children Center’s author showcase. It is always a huge honor to meet other writers . I invite all to please feel free to leave comments. Thank you for your interest. I have attempted to make the illustrations of my books a story in themselves, and I believe that the children can relate to the cartoons long before they have the ability to read the story. It would be helpful to read to a small group so that the illustrations can be shared with all as the story is read. This story also features talking animals, so it could be used to teach personification. Students could discuss the various animals that are included in the story and explain why they think the author chose to include the various animals that he selected as characters for this story. The book also features extensive dialogue. Students could study the dialogue and tell why they think the dialogue does or doesn’t sound like the way animals would talk if they could speak. The story can also be used to help children learn to identify and count items. At the front of the book, before the story begins, I invite young readers to count the critters from Frog Holler that they find in the book. our homepage, as you are an expert of the week! Thank you for being an Expert/Advisor with us! I am thrilled to host author Dawn Menge on my blog today. Thank you for your support, comments are greatly appreciated. The three books in the series are at different academic levels. The first in the series “Queen Vernita’s Visitors” is geared towards pre-k to first grade. For the younger learners taking a page at a time works best. Having the learners repeat the days of the weeks and months of the years as you read them helps to reinforce the math skills. Queen Vernita visits the Blue Ice Mountains is centered on the flaura and fauna of Alaska. It is geared towards an academic level that includes up to fourth grade. During my school and library visits I have found that taking each page and discussing each animal or plant captures the learners attention. Encouraging further research by the learner themselves is always beneficial. I discuss where this research can be done, the internet, textbooks, libraries, teachers and parents. 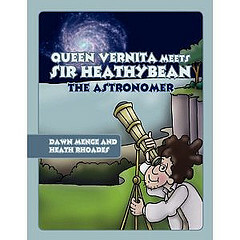 Queen Vernita Meets sir HeathyBean the Astronomer is geared towards middle school and above. The same teaching style should be ued for this book as for the last one. Each page can be read and discussed seperately and it is encouraged to take each subject and explore it in further depth. 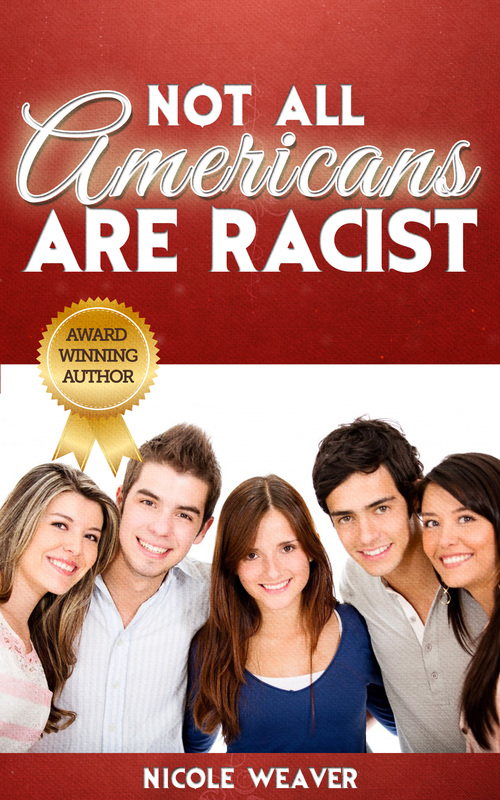 I feel extremely lucky because I come from a very diverse background. I am part Haitian , French and Spanish. In my household we celebrate diversity on a daily basis. Life is simply grand! 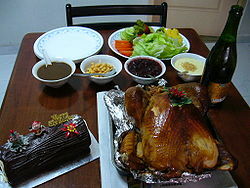 I thought I would share some of my favorite Christmas French meals. 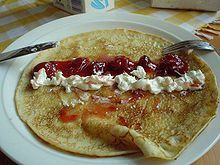 Christmas morning I make French crepes. Yummy! 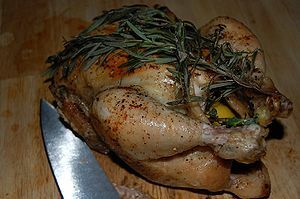 I roast a turkey or chicken. 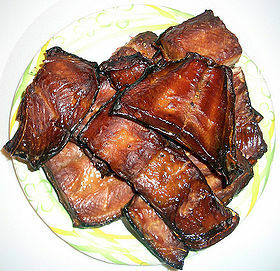 I also love seasoned , baked wild caught salmon. 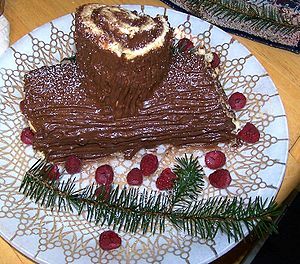 For dessert I make a yule chocolate cake. 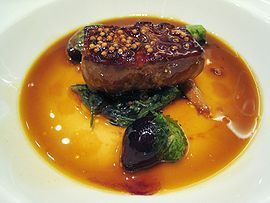 Depending on the mood I serve goose liver with crackers. Next post I will share pictures of some of my favorite Haitian meals.